When the pain caused by difficult or unexpected life-changing experiences goes unexpressed and unreleased, it can unravel the fabric of your life. Where talk therapy fails to remedy the situation, expressive art proves successful. Breakthrough split-brain research tells us that imagery is our primary form of communication. Using an image to express a painful emotion allows us to see it in a way that is inaccessible through words, making us better equipped to transform a negative emotional reaction into a positive life experience. In this beautifully designed book, Barbara Ganim shows us how to use imagery to identify what we are really feeling, rather than what we think we feel. Says Ganim, �When you draw an image of what an emotion feels like, you can finally separate what your verbal thoughts are telling you from what your body�s actually experiencing.� She then explains how to deal with those feelings. 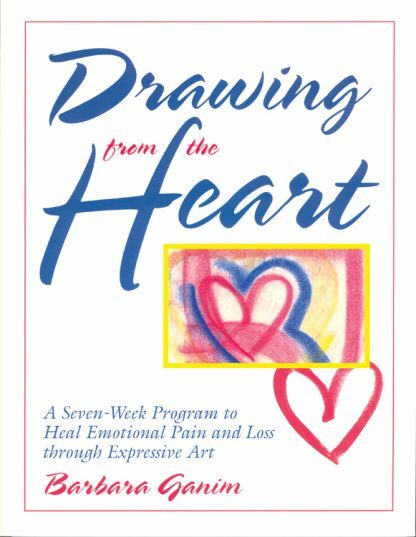 With colorful drawings and quotes from students in her workshops, she demonstrates how others have used the drawing from the heart process to express and heal their pain.